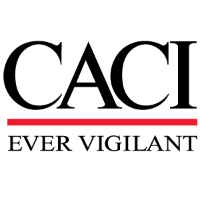 CACI is seeking a cleared Cybersecurity/ Information Assurance Specialist (IAT II) to join our team in Fort Bragg, NC. The Cyber Security Specialist will be responsible for conducting technical aspects of cybersecurity assessments, particularly Cybersecurity RMF Controls Validation Testing and have an understanding of DoD testing tools and techniques as well as a knowledge of DISA STIGs and IAVM requirements. This is a technical cybersecurity position and solving complex technical cybersecurity issues will be required. Provide Network Environment (NE) and advanced level CE support. Paying special attention to intrusion detection, finding and fixing unprotected vulnerabilities, and ensuring that remote access points are well secured. Provide end user IA support for all CE operating systems, peripherals, and applications. Support, monitor, test, and troubleshoot hardware and software IA problems pertaining to their CE. Implement applicable patches including IA vulnerability alerts (IAVA), IA vulnerability bulletins (IAVB), and technical advisories (TA) for the CE Operating System(s). Implement DoD and DoD Component policies and procedures. Manage accounts, Network rights, and access to NE systems and equipment. Install, test, maintain, and upgrade network operating systems software and hardware to comply with IA requirements. Work with other privileged users to jointly solve IA problems. Must have at least 3 years in IA technology or a related area. Excellent customer service via phone and face to face conversation, excellent written and oral command of the English Language. Some understanding of military hierarchy.